—F.C. Hetz and Sons, Proprietors, Fairview Evergreen Nursery catalog, Spring 1930. Fairview Evergreen Nurseries, Inc. (FEN) is a wholesale grower of top quality ornamental plant material, supplying many of the finest landscapers, re-wholesalers, and garden centers in the US and Canada. Founded in 1911 by Frank C. Hetz, FEN continues to thrive today as a fourth generation, family owned and operated company celebrating 100 years of service to the green industry in 2011. Located in Fairview, Pennsylvania on the south shore of Lake Erie, the company’s market reach extends to Ontario and Quebec in the north, all along the Atlantic coast, south to Tennessee, west to Kansas and Nebraska, and includes bare root shipments to Oregon and British Columbia. 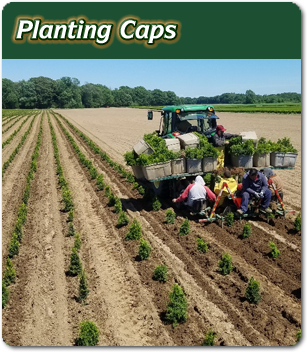 FEN built its reputation on growing the finest evergreens the industry has to offer, including Boxwood, Taxus, Junipers, Arborvitae, Holly, and Rhododendrons. The nursery also grows a diverse mix of shade trees and flowering shrubs. 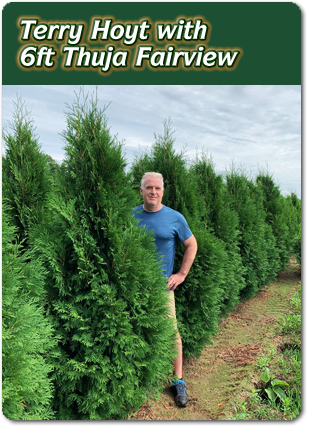 FEN has originated and introduced several plant varieties well known for their proven track record in the green industry, such as Taxus media Fairview, Thuja occ. Hetz’s Winter Green, and Juniper chinensis Hetz’s Columnaris, to name just a few. The company’s operational practices are geared toward producing plants of outstanding quality, uniform consistency, and long-term viability. FEN root prunes and trims its stock extensively, and its plants and trees benefit from the area’s fertile lake plain soil. The nursery machine-digs its balled and burlapped plants for consistent size and appearance, and maintains an extensive, state-certified IPM program to ensure that its plants are delivered healthy and pest free. FEN believes strongly in environmental stewardship. We grow corn, oats, and wheat between ornamental nursery crops to rest our ground and rebuild soil nutrient content. All of our practices are geared toward the goal of growing the oxygen-producing, life-sustaining plants and trees that are the core of Fairview Evergreen’s business.